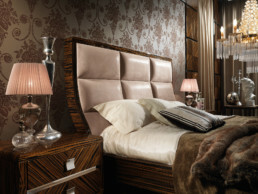 A unique bedroom. 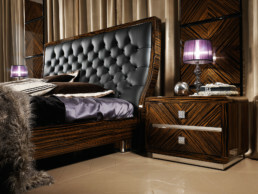 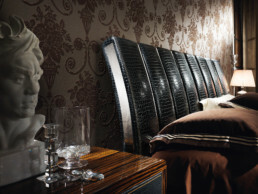 The elegance of the ebony and the charm of the leather create an exclusive atmosphere. 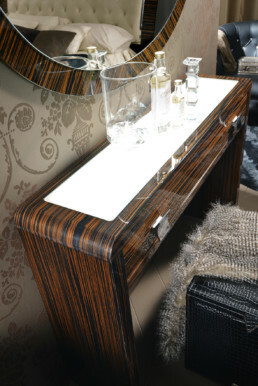 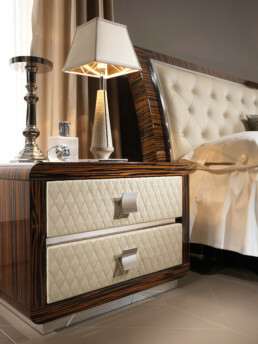 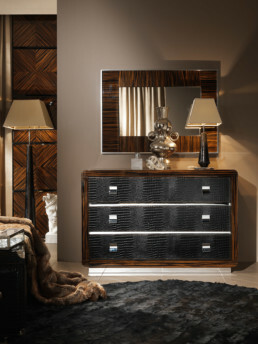 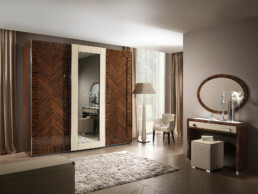 The combination of colours and materials between the shiny veneered ebony and the handcrafted leather are the main features of this wonderful collection. 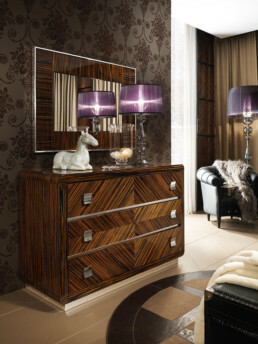 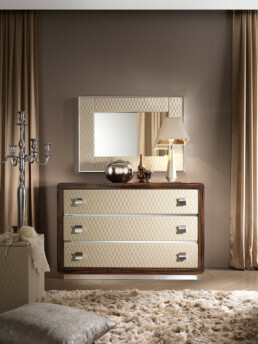 The steel decorations embellish the collection and bring out the materials.